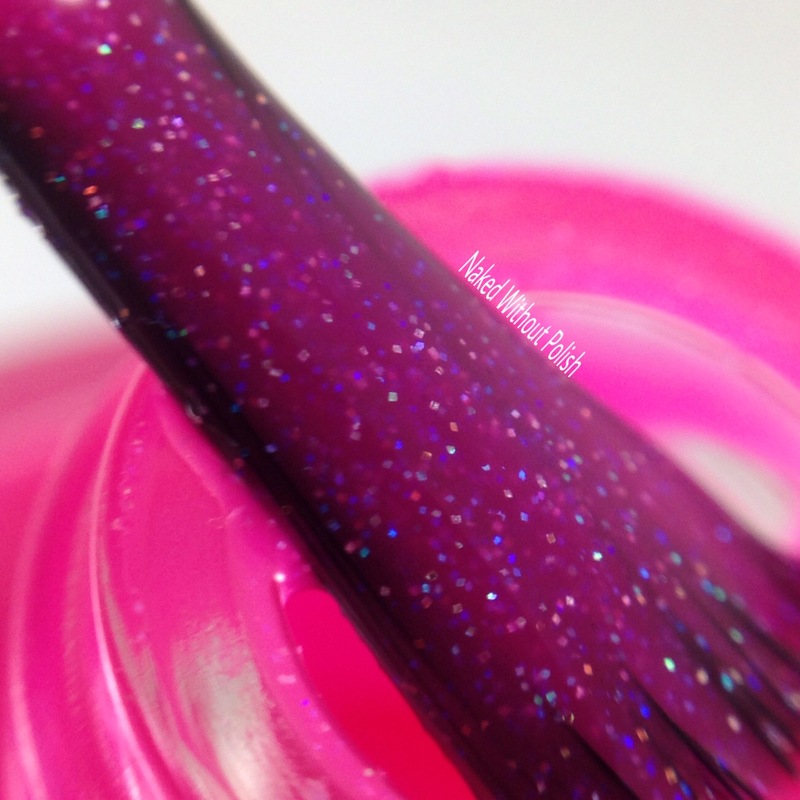 It's been one hell of a week here on the blog...we've had my giant Polish Pickup post, some incredible neons, and a sneak peek into fall. 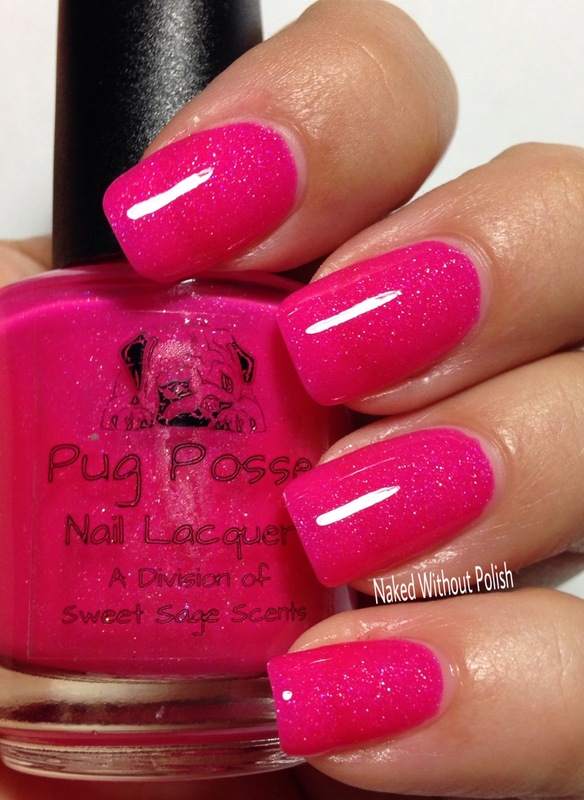 It wouldn't be a complete week if we didn't have an all pink post! 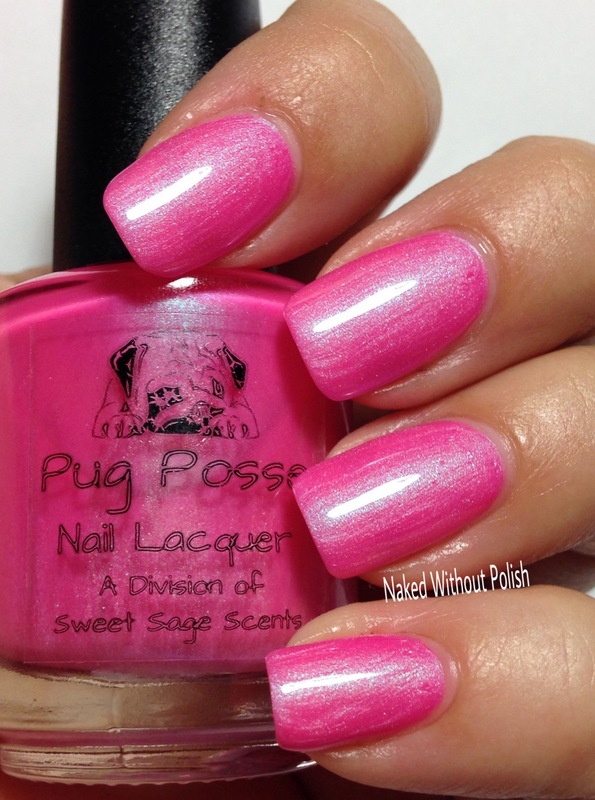 Pug Posse Nail Lacquer has gone and released a playful The Pink Collection! 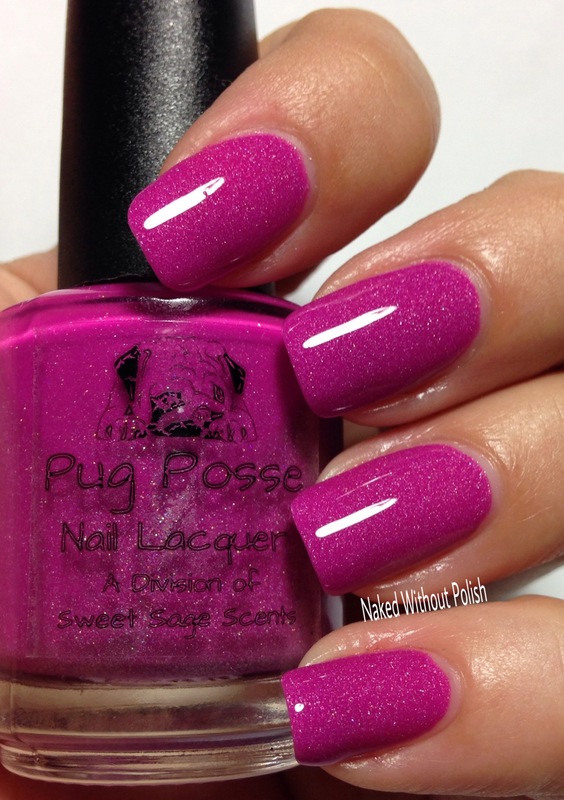 I may be ready for fall, but you can give me a lovely pink any day of the year! These four are adorable, and one was even named by her son. 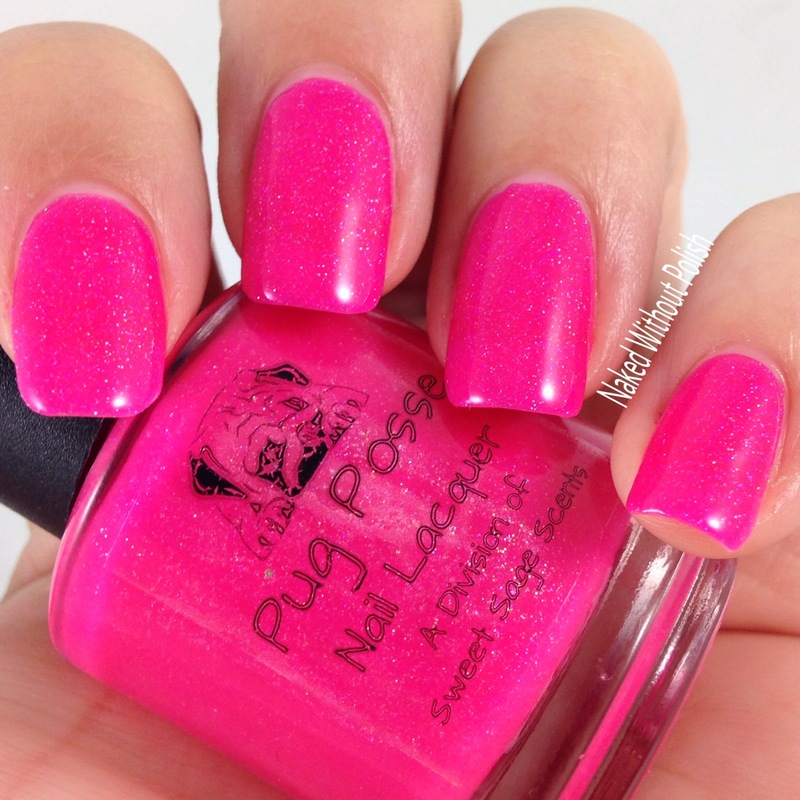 Pink will never get old! Go check 'em out! Real Men Wear Pink Timbs is described as "a hot pink with a turquoise shimmer and was named by her son, inspired by his own pink Timbs". 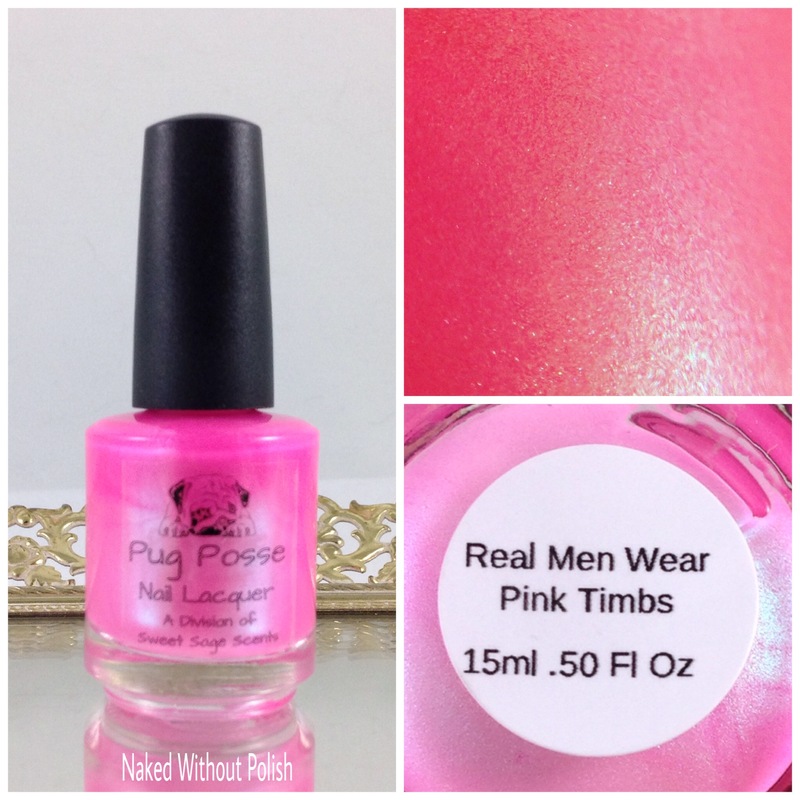 Shown is three coats of Real Men Wear Pink Timbs with top coat. 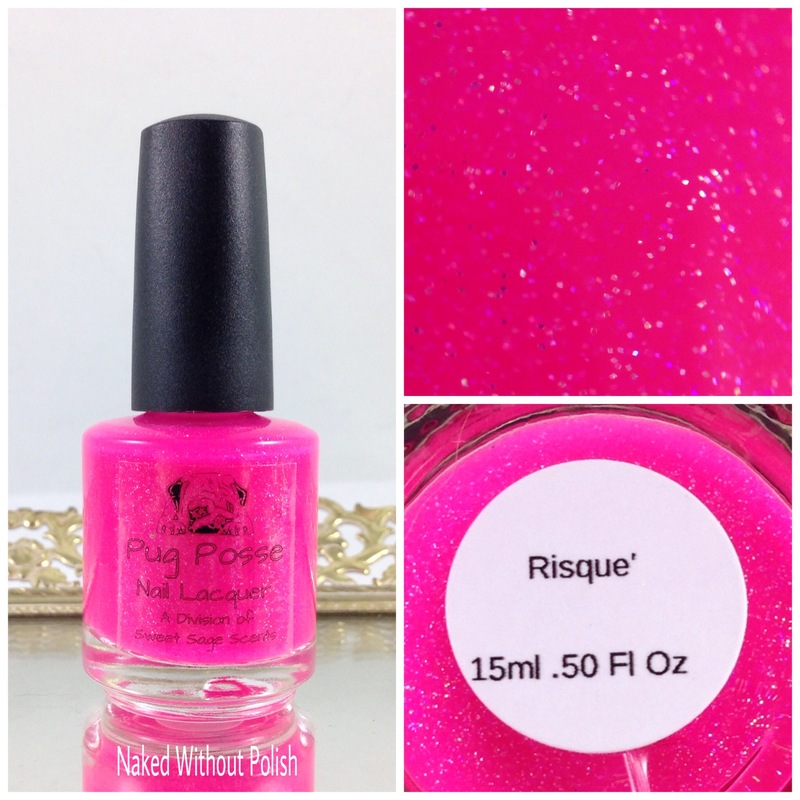 Risqué is described as "a bright pink crelly with rainbow holo glitter". Shown is two coats of Risqué with top coat. 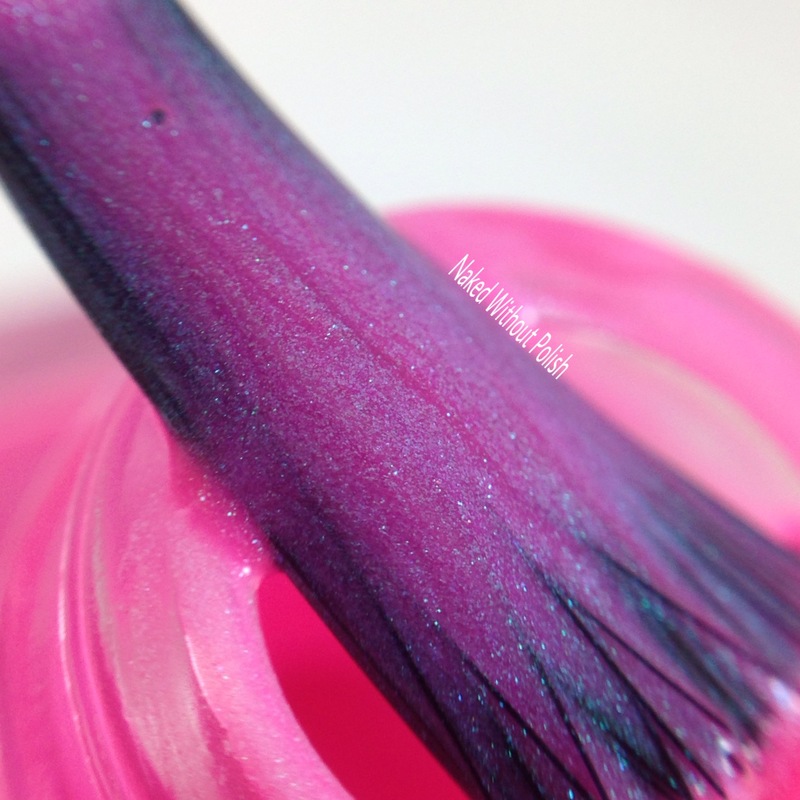 Cheerleader Pink is described as "a dark pink with gold shimmer that can be worn on its own or as a topper". 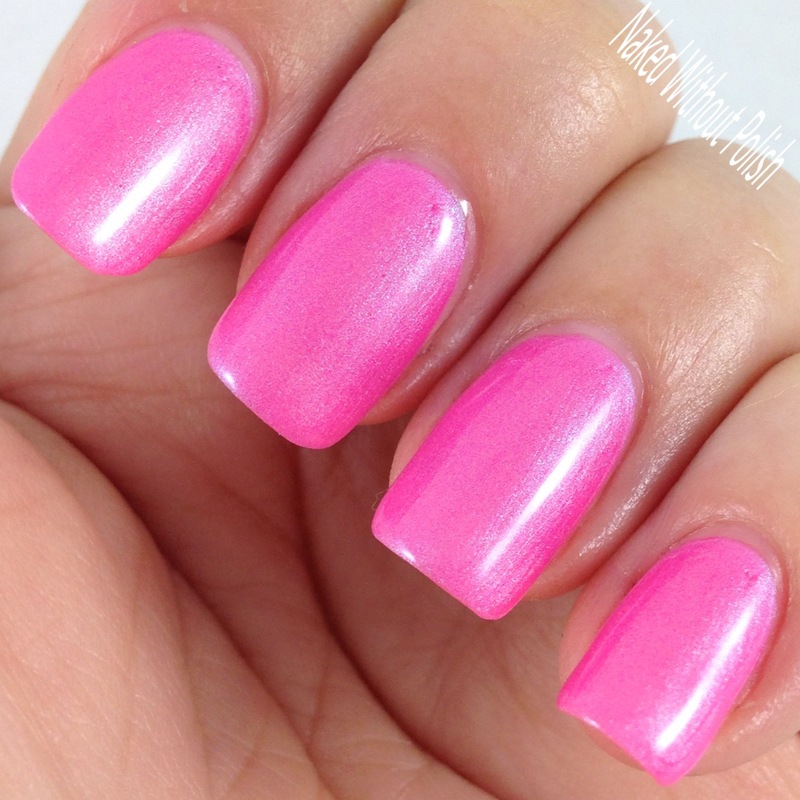 Shown is three coats of Cheerleader Pink with top coat. 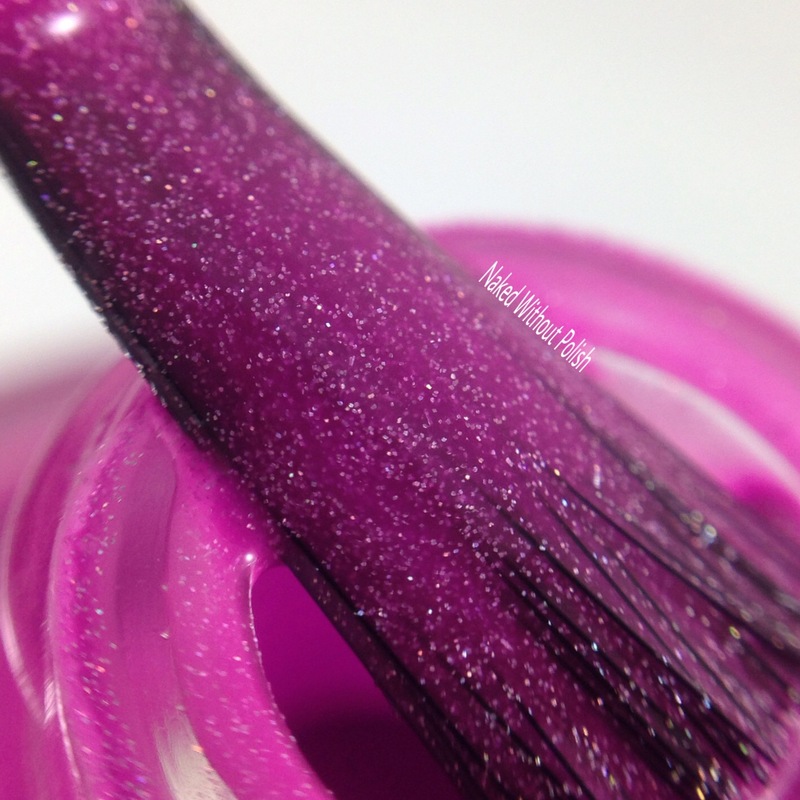 Loose Lucy is described as "a dark hot pink with silver holo glitter". 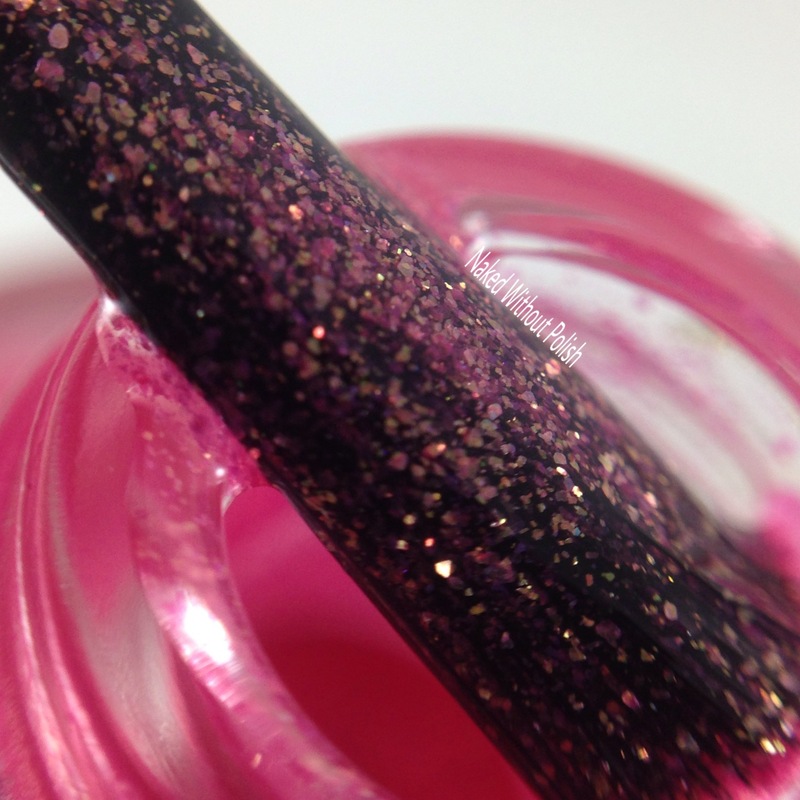 Shown is two coats of Loose Lucy with top coat. 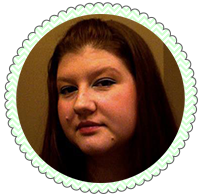 All four of the beauties in The Pink Collection had a lovely, easy to work with formulas and smooth applications. 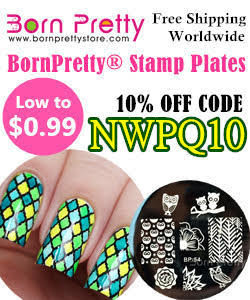 You'll have fully opaque nails in 2-3 coats with each of them, or feel free to use as toppers where you see fit. 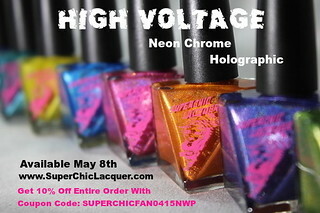 I love a versatile polish! 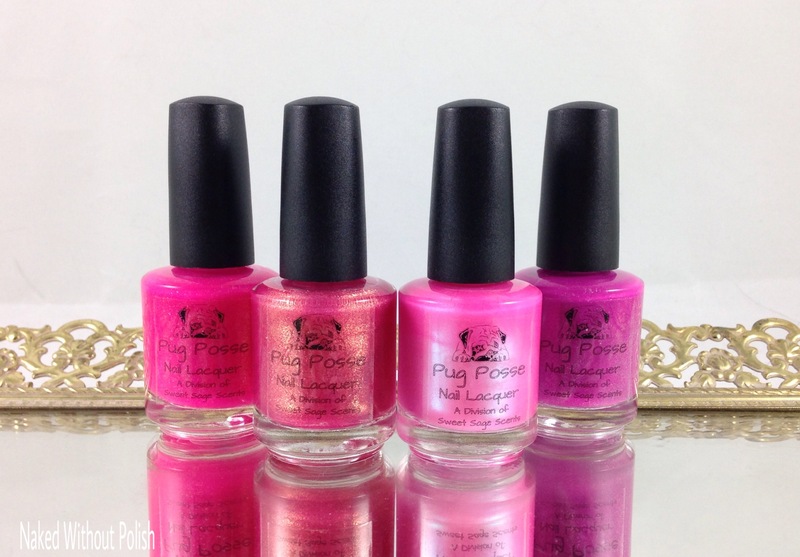 You can get The Pink Collection as a whole, now, for $32, or grab a couple individually for $8.50 each. 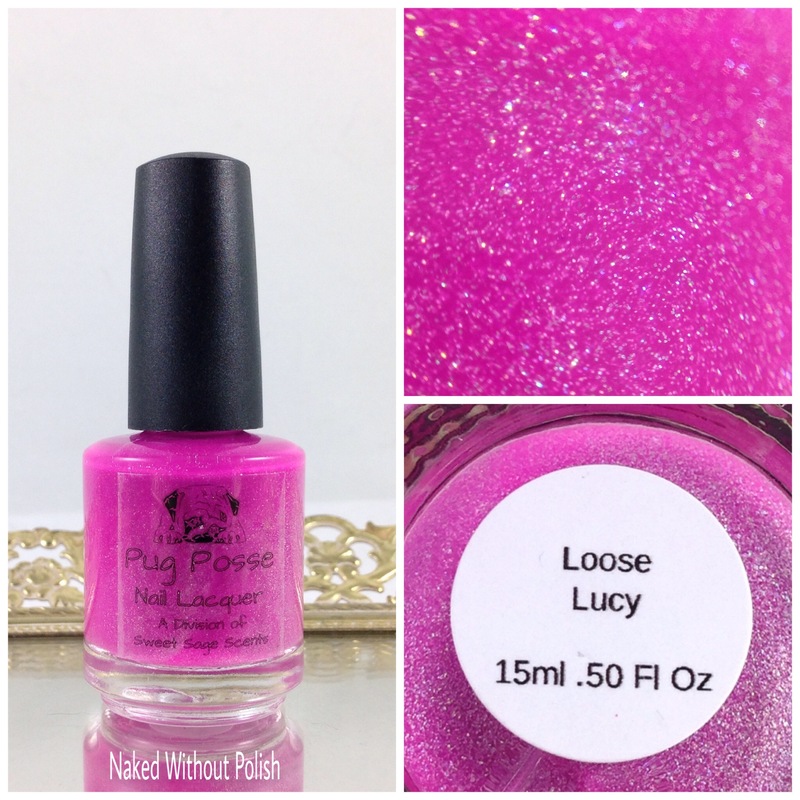 Make sure you are following Pug Posse Lacquer on all of her social media platforms (links below) to stay updated on news, releases, and sales. I believe there is at least one polish for everyone here...the question is...which one is calling to you?